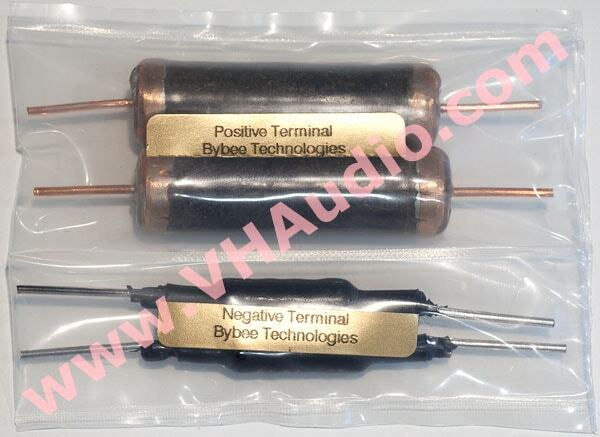 Bybee Component Signal Enhancer - $149.99 ea. NEW ITEM! Bybee has just introduced a new product called the iQSE, which is an acronym for "Internal Component Signal Enhancer". The iQSE affects the flow of energy in your component's circuitry. It does this WITHOUT the need for the device to touch any of the active circuitry, but simply attaches to the inside of your component chassis, facing the circuitry. The principle behind the iQSE can be found in a field of physics called "Spintronics". Here is a video that begins to explain the physics behind this. The iQSE is 'energized' by the energy field that is already present within your component. Once 'energized' the iQSE influences electrons and protons moving through an electrical circuit in such a manner as to create a beneficial “slipstream” effect. Bybee states that the iQSE resonates at the same frequency as the C13 atom, a less common Carbon isotope vs the C12 atom). Consequently, this creates a magnetic field of force effect, whereby the polarity of electrons and protons are altered, affecting their oscillation. This reaction creates an affect that makes the transfer or sharing of electrons between atoms more streamlined and efficient, while air molecules are less resistant. 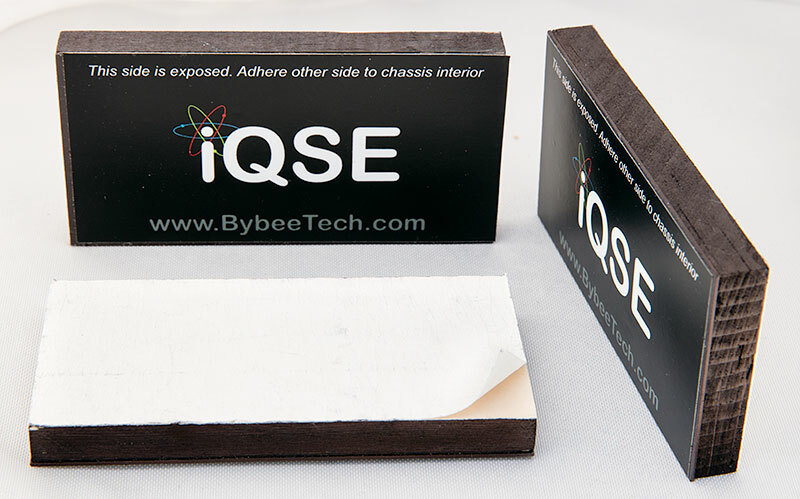 How to use: Simply attach the Bybee iQSE by peeling off and exposing the self adhesive side of the device, and then attach to an inside facing portion of your component chassis. Note that the adhesive can, over time loosen and the unit may become detached. You may use nylon ties as a more permanent solution. Also, the optimal positioning of the iQSE is nearest to the signal circuitry (as opposed to power supply). Pricing is 20% off MSRP! Bybee Slipstream Small - $79.99 ea. Bybee Large Quantum Purifier - $159.99 ea. Bybee AC Quantum Purifier - $287.99 ea. Bybee SILVER Slipstream Small - $143.99 ea. Internal Speaker Bullet Kit (mk III) - $687.99 ea. Bybee Technologies has developed the Bybee Quantum Purifiers from ceramics doped with oxides of rare-earth metals such as zirconium and neodymium. They achieve a VP of 92% of the speed of light, which is far higher than VPs of common conductors, which typically range from 50 to 70% of the speed of light. In addition to being near-superconductive, Bybee Purifiers are electrically passive and stable in any circuit. The Bybee Purifiers induce no phase shift whatsoever, and are totally non-reactive, meaning there is no reactance between capacitance and inductance. When placed between an amplifier's power transformer and diode bridge, for example, the Bybee Purifier eliminates undesirable impedance mismatches. In an amplifier-to-speaker connection, the absence of reactance creates an optimal signal transfer and presents an easier load to the amplifier. When transmitting digital information, the Bybee purifier eliminates the overshoot and ringing that can occur in the leading edge of the square wave. This type ofdistortion is a major contributor to the harshness and glare often associated with digital sound. Many well-respected audiophiles swear by Bybee Purifiers. Large Bybees can handle up to 15 amps of current. The Small Slipstream Quantum Bybee Purifiers represent a combination of the rare earth metal oxide technology of the original devices (above) with carbon fiber materials. Internally they are composed of nanotubes, which are much smaller than a human hair. By incorporating a great many nanotubes in each device, they are able to handle the same amount of current as the original Small Quantum Purifiers that handled up to 4.3 amps. The signal purification capabilities of the new BYbee Slipstream Quantum Purifiers are superior to their predecessors! NEW ITEM! The $4,200 Bybee Golden Goddess 'Super Effect' Speaker Bullets have been praised by audio reviewers and customers as the most sonically powerful of all plug-in Bybee accessories. These NEW devices - Bybee Internal Speaker Bullets are Jack's DIY / OEM version, which make them much more affordable, at just $859.99 per set (two sets required for bi-wired speakers). Same performance- less dough, BUT you need to have some soldering skills, and a bit of dexterity. Tie the word "Quantum" to anything related to high end audio, and the "hooey" alarm starts buzzing in many of our heads. Indeed, Quantum theory/mechanics is a strange, mysterious, mostly unproven realm that doesn't lend itself to a great deal of empirical data. However, there are few who will deny that there IS an effect with some quantum devices on the market (Bybee Quantum purifiers come to mind). With that, I introduce the WA-Quantum Chips. I don't know how they work, but based on my own experience, and numerous audiophiles who have been asking for VH Audio to stock this product (after hearing them)- I felt compelled to offer to you. 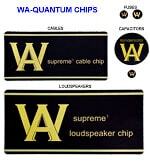 The WA-Quantum chips are easy to install (they simply stick onto the device), removable, and may be reused. 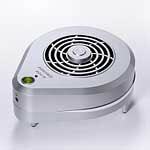 The Furutech SK-EX-III LP disc is a extremely effective disc media static eliminator for LP's, CD's, or DVD's. To operate the SK-EX-III, simply place your disc media into Furutech SK-EX-III and close the lid for just 30 seconds. The static charge will be completely eliminated. 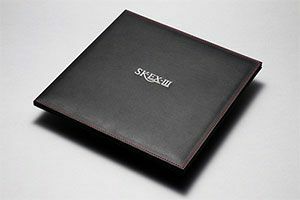 The SK-EX-III operates by using a material called Thunderon®. Thunderon is a unique conductive filament material that consists of a very fine acrylic fiber that is chemically bonded with copper sulfide. The Furutech SK-EX-III is easy to use, uses no batteries, cables or AC power, and is a perfect complement to your disc media collectio, and ultimately... your listening pleasure. Alpha Design Labs (by Furutech) has followed-up their wildly successful GT-40 USB DAC, with the terrific Stride portable headphone amplifier, that also has a built-in 24/96 USB DAC! Now you have access to a REAL headphone amp, that allows you to use REAL headphones, AND it fits in the palm of your hand. Enjoy your music anywhere, and at the best quality possible. The Stride headphone amplifier has a standard 3.5mm headphone output, gold-plated 3.5mm analog line input (switched), as well as a gold-plated USB digital input for PC audio! A high quality, internal Li-ion rechargable battery means you may have up to 80 hours of music on a single charge! The stride or Cruise may also run on either USB power or an AC/DC switching power adapter that recharges the battery. The Stride will drive 12 ohm to 600 ohm headphones with ease, using high quality volume controls. The gold-plated circuitry on a high quality circuit board ensures corrosion-free, long-term performance. Regularly $459.99. Now on special for $275.00! The new Furutech DeStat II anti-static device is a great tweak to remove static from a CD, album or cabling with a Zap! The DeStat II is incredibly easy to use and removes dust and static charge from audio/video media with a 10 second treatment. High performance enthusiasts know that static charges on analog and optical media - LPs, CDs and DVDs - can lead to sudden and distracting noise that compromises the experience. Simply place your media on or hold it under the Destat II and press one button! The powerful fan removes dust while the Destat II's Balanced Ion Flow Generator eliminates static. Almost every A/V system component benefits from eliminating its static charge. Use the Destat II on the audio/video equipment itself - best to turn them off during treatment - plus power cords, line-level interconnects, speaker cables, and even metal record clamps! The original Destat garnered much praise, Michael Fremer declaring, "It really worked as promised... the Destat does the job in grand style." Reviewer John Crossett says, "I can't imagine living without it now that I've heard the improvement it can bring." The Destat II is small, efficient, with a rechargeable battery and easy to use with one hand. Each dust and static removal takes just 10 seconds. Plus a safety circuit prevents any small shocks from the Balanced Ion Flow Generator.